Pour water in a saucepan. Stir in sugar and salt to dissolve. Heat over medium heat. 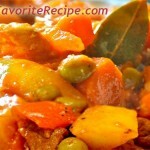 Bring syrup to a boil and then lower the heat and let it simmer for 10 minutes. Peel bananas and cut into 1/2 inch slices. Add to simmering syrup and continue cooking for another 10 minutes more or until saba bananas are tender and syrup is slightly thickens and lightly golden brown. Remove from heat. Transfer to a dessert plate and serve. 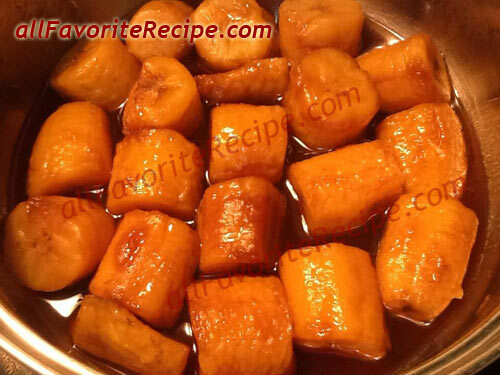 Substitute kamote (sweet potato) slices for bananas and cook as above until sweet potatoes are tender. 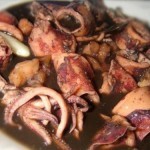 Have You Tried These Other Panlasang Pinoy Recipe? It tastes delicious, It was one of my father wanted to make. sarap tlga, try it guyyssss.